The Men's Viyella Tattersall Check Shirt is a 100% pure cotton, long-sleeved shirt. Pair this classic cut collar shirt with Chinos or Jeans and deck shoes to create the perfect relaxed, yet styled look. 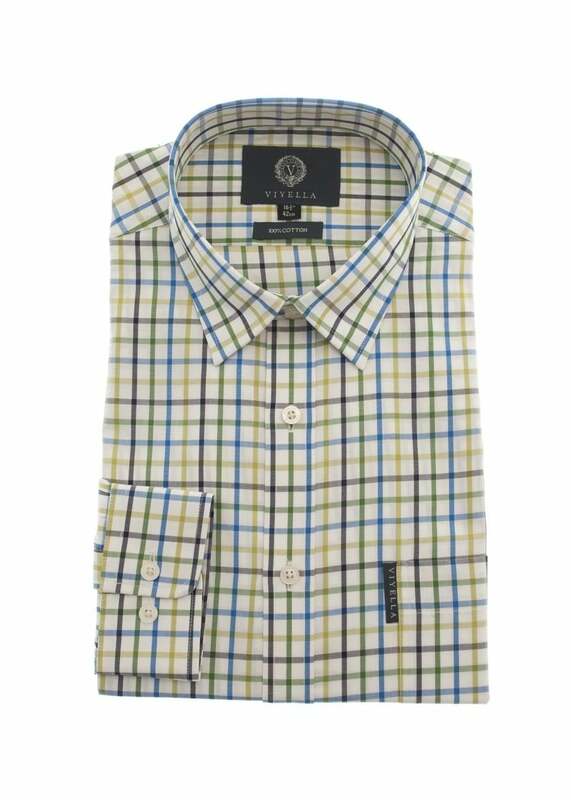 The 100% cotton Viyella Tattersall Check shirt is a standard fit, long-sleeve shirt with 2 button adjustable cuff and is finished with a single breast pocket.